Ex-Atlanta U.S. District Judge Jack Camp, who embarrassed the judiciary and created a scandal by buying drugs for a stripper he was having an affair with, was sentenced Friday to 30 days in prison and 400 hours of community service, the Atlanta Journal-Constitution reported. The paper reported that Senior U.S. District Judge Thomas Hogan from Washington, who sentenced Camp in the Atlanta courtroom, said probation only was out of the question because Camp had breached his oath. Camp said “the only thing I can say is that I’m so very sorry,” the paper reported. On Nov. 19, Camp, who was on senior status, pleaded guilty to aiding a felon in possessing illegal drugs, possessing illegal drugs and giving his government issued lap top to the stripper he was having an affair with. 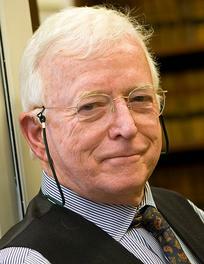 He has resigned as a federal judge, which is lifetime presidential appointment. Camp bought drugs for the stripper, who was cooperating with authorities. In a pre-sentence memo filed with the court, Camp’s attorney William Taylor of Washington wrote that Camp has suffered from acute depression, brain-damaging from a bicycle accident and personal family tragedy that may have contributed to him getting busted for buying cocaine for a stripper he was having an affair with. The memo noted that Camp entered a psychiatric hospital after his arrest last year. The physician in charge of his evaluation and treatment, Dr. Miles Quaytman talked to the probation office. Posted: 3/11/11 at 5:04 PM under News Story.